RHA is one of the most important music festivals on the destination’s billboard; this is its third consecutive year with a goal of boosting tourism in the state of Nayarit just before the summer season. 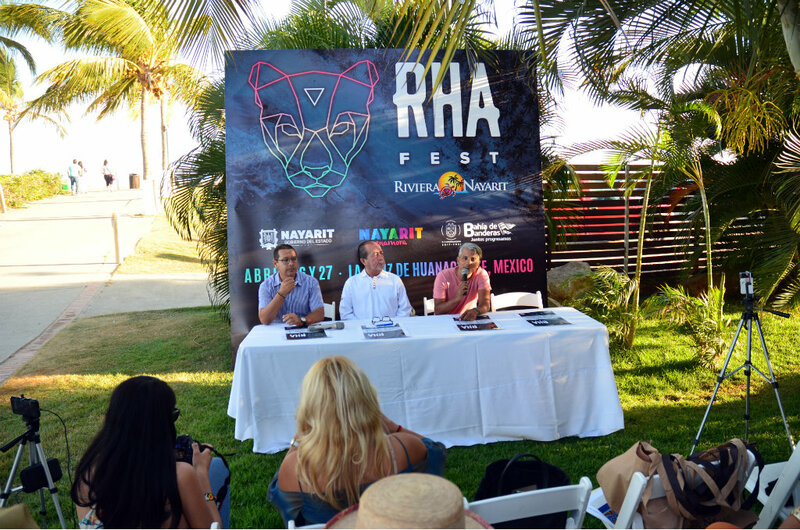 Official event sponsors Riviera Nayarit and W Punta de Mita are expecting anywhere between 2,500 and 3,000 people per day. Bedouin, Guy Gerber, Lee Burridge and Nic Fanciulli are the headliner DJs, with a secondary lineup of excellent artists including Lauren Lane, and Liam Fitzgerald. The festival is for adults 18 and older; there will be beverages for sale, restaurant service, common areas for relaxation, and performances, among other activities. Friday 26: Guy Gerber, Lee Burridge, Anja Schneider, Bones, Behrouz, Öona Dahl, Santé, Viceroy. Saturday 27: Bedouin, Nic Fanciulli, Jonas Rathsman, Lauren Lane, Liam Fitzgerald, Marques Wyatt, Tom & Collins. For more details, visit RHA Festival on Facebook or check out their website at www.rhafestival.com. Joaquín Carias, Jesús Carmona and Indalecio Sánchez. RHA stands for “flowing water” in Wixárika, the language of the indigenous tribes living in Mexico’s Nayarit area. “Flowing” refers to their travel through life. Water flows, water evaporates, water turns to rain and then it returns. 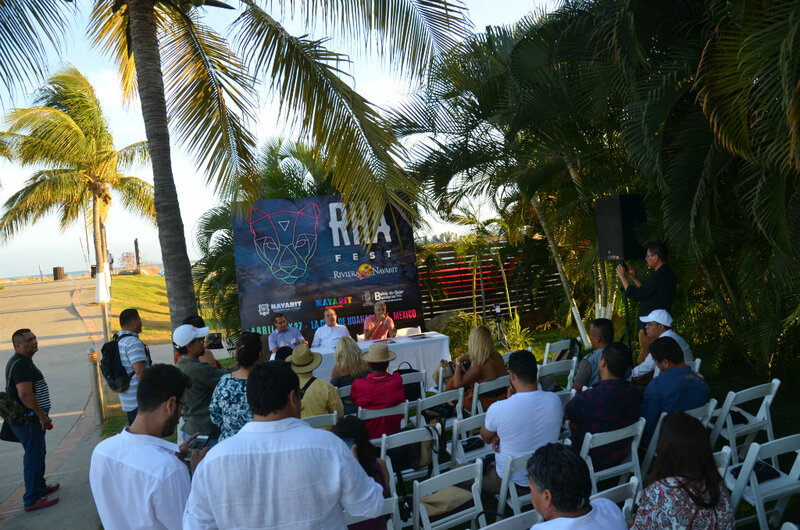 The festival had its genesis in the Riviera Nayarit towards the end of 2016 thanks to a group of underground and house music aficionados from the United States and Mexico. 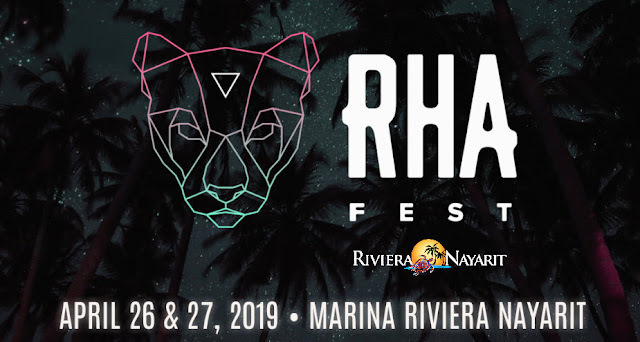 RHA made itself known in the summer of 2017, showcasing the best in house and techno music from around the world while also incorporating the native Huichol culture and a privileged location on the shores of Banderas Bay. Over the past two years RHA has featured international legends including Claptone, Green Velvet, Luciano, Dimitri of Pariz, Sandy Rivera, Rodríguez, Jr., Charlotte de Witte, Justin Martin, Lee Foss, Purple Disco Machine, Walker and Royce, Doc Martin, Marques Wyatt, and many more. The Riviera Nayarit offers world-class attractions, surfing, fishing, a complete lineup of water sports, boat tours to the Islas Marietas (protected by the UNESCO), and 23 picturesque villages by the beach framed by the deep blue waters of the Pacific and the spectacular peaks of the Sierra Madre. 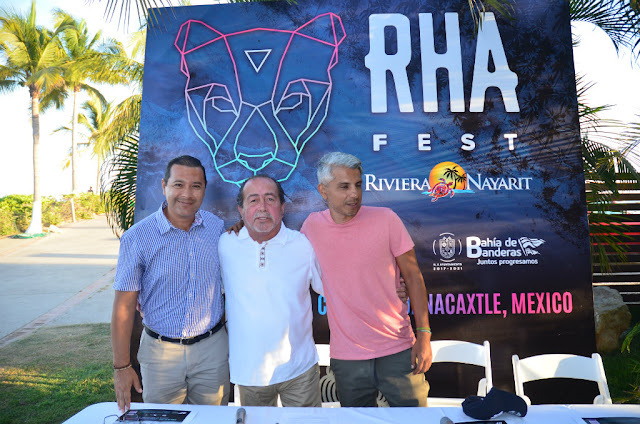 The promotional work done by the Riviera Nayarit Convention and Visitors Bureau (CVB) and the Bahía de Banderas Hotel and Motel Association (AHMBB), with the support of the Government of the State of Nayarit via the Tourism Promotion Trust (Fiprotur), is amplified by the arrival of celebrities who receive extensive media coverage and position the destination as one of the best in the world.